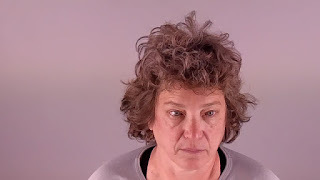 Bend, OR (Jan 9)--Oregon Felon 1675174 Deborah Ellen Frisch was released during the night, in yet another illustration of Oregon's idiotic blind eye to dangerous and unrepentant criminals. Immediately after release, Miss Debbie returned to her usual criminal behavior: online stalking, harassment and threatening. She faces an extradition hearing on Thursday, and another hearing on her latest Oregon charges (disorderly conduct and resisting arrest) on 30 January.